Medical Motor Service provides senior citizens and individuals with disabilities and special needs the specialized transportation they need to receive non-emergency medical services and to remain involved in their community. 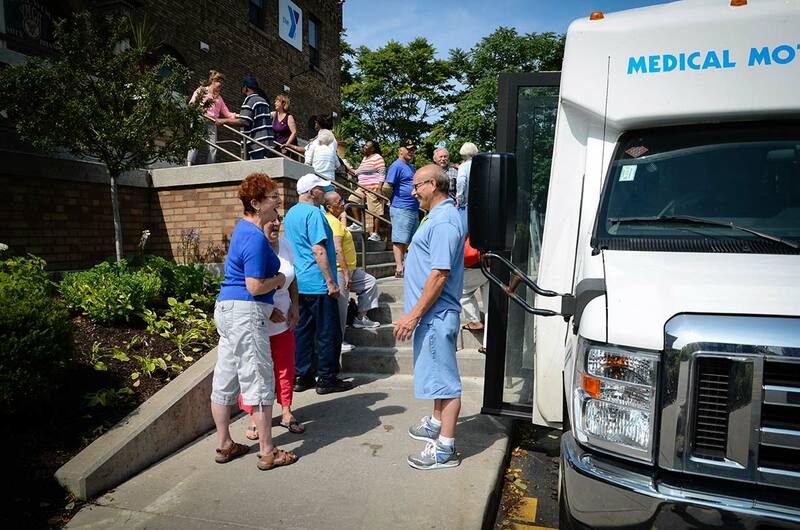 More than 541,000 trips are provided or arranged annually to over 9,500 area residents. As the only non-profit agency with this sole focus, Medical Motor Service plays an important role in the everyday lives of many people throughout Monroe County. Medical Motor Service of Rochester and Monroe County, Inc. is committed to providing nondiscriminatory service to ensure that no person is excluded from participation in, denied benefits of, or be subjected to discrimination in the receipt of its service on the basis of race, color, or national origin as protected by Title VI of the Civil Rights Act of 1964 ("Title VI"). If you believe you were subject to discrimination and would like to submit a written complaint, you can download a complaint form and send it to the address listed above. MMS has provided specialized transport service in and around Rochester for over 90 years. Come meet the board of directors! MMS has dedicated themselves in serving the community.